A brief introduction to Where The River Goes. For decades, if not centuries, the music of Austria has been dominated by the classical composers such as Mozart, Haydn, Liszt, Mahler and the Strauss family. In the first half of the 20th century Arnold Schoenberg, who was associated with the German expressionist movement and who emigrated to the USA in 1934 to escape persecution from the Nazi party, composed innovative, modernist music which incorporated atonality and used the 12 tone technique (whereby all the notes in a chromatic group are employed more or less equally). Schoenberg's music was considered avant-garde and like Stravinsky he used techniques also employed by jazz musicians but there was very little common ground between him and jazz composition. Another Austrian classically trained musician, born in 1932, and who emigrated to the USA in 1959 with a music scholarship from the Berklee College of Music, was Joe Zawinul, one of the pioneers of jazz fusion, a collaborator with Cannonball Adderley, Miles Davis and Wayne Shorter and founder in 1970 of the jazz super-group Weather Report whose most famous album Heavy Weather with the seminal track Birdland was released in 1977. 'The dissolution of the Vienna Art Orchestra clearly left a void, but this was filled fairly quickly by the Jazz Big Band Graz. Under the guidance of Heinrich von Kalnein and Horst Michael Schaffer, the Jazz Big Band Graz has been active since the early 2000s and has since been expanding the classic big band sound with various new musical facets (“Urban Folk Tales”). Working in a similar field, just slightly more experimental, is the ensemble Studio Dan, which originated from the Jazzwerkstatt Wien and its surroundings and combines chamber orchestra and big band sounds. 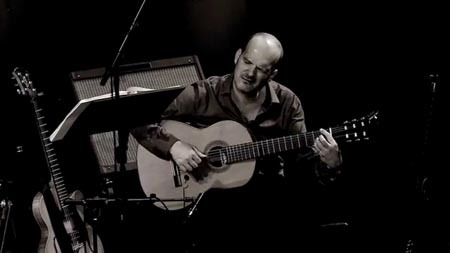 Led by Daniel Riegler, the ensemble has collaborated with renowned international stars, such as guitarist Elliott Sharp. The jazz scene in western Austria is also quite vibrant, as is evidenced by the activities of the Jazz Orchestra Vorarlberg, which was founded by Martin Franz and Martin Eberle. Beyond the VAO, a number of other creative jazz artists were able to achieve international renown'. 'These include, among others, the guitarist and head of the label Material Records, Wolfgang Muthspiel, who launched his career in New York and later spearheaded various successful projects in Austria (including the solo project “Vienna Naked”, the Wolfgang Muthspiel Trio featuring Larry Grenadier, and his collaboration with Jeff Ballard). The document contains much more information including a section on New Female Bandleaders, Promoters and Venues, Labels, Publishing and Distribution, Media and Broadcasting, Festivals, Booking Agencies, Musician Websites and Ensemble Websites. As Joe Zawinul was establishing himself in America, back in Judeburg, Austria, two brothers were born into the musical Muthspiel family, Christian in 1962 and Wofgang in 1965. Christian began piano lessons at the age of 6 and trombone at 11, he studied both classical and jazz music at college in Graz before moving to Canada to continue his musical studies at the School of Fine Arts in Banff. Wolfgang also started music lessons at 6 but preferred the violin switching to classical guitar at age 14, he also left Austria to study but at the New England Conservatory in New York and Berklee College of Music in Boston on a full scholarship where he studied under jazz guitarist Mick Goodrick. Picture by Werner Maresch from Christian's website. 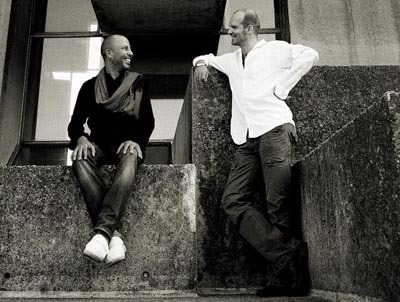 In 1985 Wolfgang and Christian released the first of three Duo Due albums featuring free jazz inspired by the likes of Ornette Coleman but recorded in Europe; Christian had returned home and from 1995 to 2004 was a key member of the Vienna Art Orchestra, formed in 1977 by Mathias Rüegg, playing a combination of contemporary, classical and jazz music. Here is a video Wolfgang playing Hanging Out In Den Haag with the Vienna Art Orchestra in 2000. Wolfgang stayed in America for longer and soon established a reputation as a distinctive guitarist, much in demand as a sideman working with a wide range of musicians including pioneering vibraphonist Gary Burton, celebrated Senegalese singer Youssou N’Dour, bassist Gary Peacock and saxophonist Dave Liebman among many others. Wolfgang took part in Youssou N’Dour's 2007 documentary Return To Goree (6 minutes) which illustrates the origins of jazz and how it has flowed out across the world. He says: 'The truth is in the music, it is not in what I'm saying or what I'm thinking'. During the 1990s, while living in America, Wolfgang Muthspiel featured on several albums either as leader or sideman, he also continued to work with his brother, recording in Austria, issuing albums such as CY, in 1998, inspired by the artist Cy Twombly. 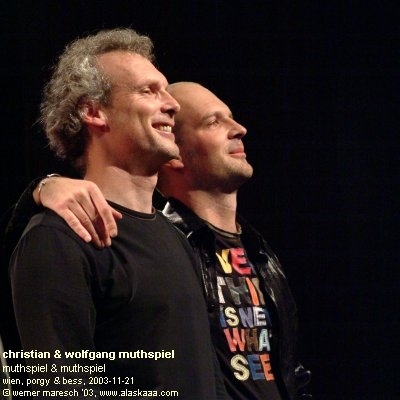 In 2000, Wolfgang Muthspiel founded Material Records, a label specialising in jazz, song, and classical music and including several albums featuring Wolfgang and early projects with his brother Christian. Other artists include Norwegian jazz vocalist Rebekka Bakken, Tunisian oud master Dhafer Youssef and his guitar tutor from Berklee, Mick Goodrick. Listen to Sand Dance from the Wolfgang Muthspiel / Dhafer Youssef album Glow. Wolfgang Muthspiel has blossomed into a guitarist of world renown, having won international competitions for both classical and jazz guitar and has been compared favourably with great jazz guitarists such as Pat Metheny, Bill Frisell and John Scofield. Muthspiel has been described as part of a new generation of artists who deliberately reinterpret the pioneering work of great masters like Django Reinhardt (1910-1953), Charlie Christian (1916-1942) and Jim Hall (1930-2013). Since 2013 Wolfgang Muthspiel has featured on the ECM record label, the first album being Travel Guide as a member of a co-operative trio with fellow guitarists Ralph Towner and Slava Grigoryan. 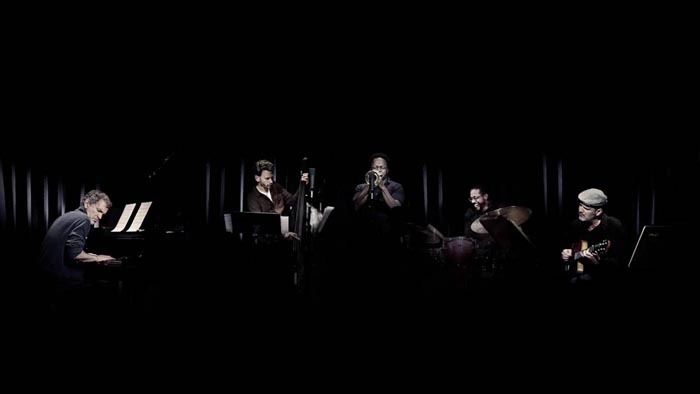 In 2014, Muthspiel made his ECM leader debut with Driftwood, featuring two top American jazz players - bassist Larry Grenadier and drummer Brian Blade. Lyrical, grooving and atmospheric by turns, Driftwood saw Muthspiel exploit the rich sonic qualities of the guitar and with the track Joseph he paid tribute to Joe Zawinul, a true trailblazer for Austrian jazz musicians. Listen to Joseph from the Driftwood album. 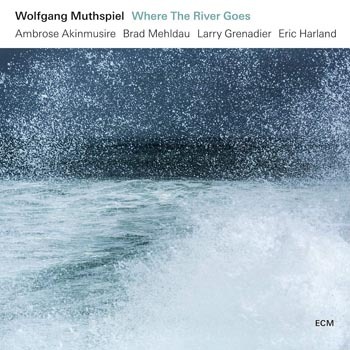 Wolfgang Muthspiel's latest album on ECM is Where The River Goes featuring Wolfgang Muthspiel (guitar), Ambrose Akinmusire (trumpet), Brad Mehldau (piano), Larry Grenadier (double bass) and Eric Harland (drums). This is the same line-up as on Muthspiel's previous, highly acclaimed album Rising Grace and Where The River Goes carries the story forward. The album, recorded at the remote but inspiring Provencal Studios La Buissonne in February 2018 was produced by Manfred Eicher. Tracks on this album include For Django, not a re-interpretation of the music of Django Reinhardt (mentioned as one of Muthspiel's projects) but a piece dedicated to British pianist Django Bates and the flamenco tinged Buenos Aires, the city where Muthspiel recorded part of his Vienna World Song Cycle. The eponymous first track beautifully evokes the flow of a river, beginning with a watery, pastoral passage conjuring a Wind in the Willows type waterscape where Muthspiel plays solo, and as we move downstream each band member is introduced with Akinmusire immediately recognisable playing a lovely fanfare until the river eventually disappears in a combined crescendo. Descendants is a beautiful melody, introduced by Akinmusire and then passed around the others who re-interpret it until just over half way through, Brian Blade interjects with some muscular drumming; the rest of the band react in unison with a dramatic response which completely changes the nature of the piece. Most of the tracks are composed by Muthspiel except Clearing which is a combined effort from the whole band, a sort of conversation which one can well imagine happening in the bucolic surroundings of Studios la Buissonne, and Blueshead which was composed by Brad Mehldau. The last track, Panorama is a short, reflective, blurring of the lines between classical and jazz guitar sensitively accompanied by Brian Blade. This is a really outstanding album by one of the best jazz guitarists around supported by an exceptional band. Trumpeter Ambrose Akinmusire is excellent and provides just the right brassy foil to Muthspiel's dulcet chords. Here is a video of the title track from the album - Where The River Goes. Click here for Wolfgang Muthspiel's website. Click here for details of the album.